We're back with another unboxing video from SuperGeekBox.com. 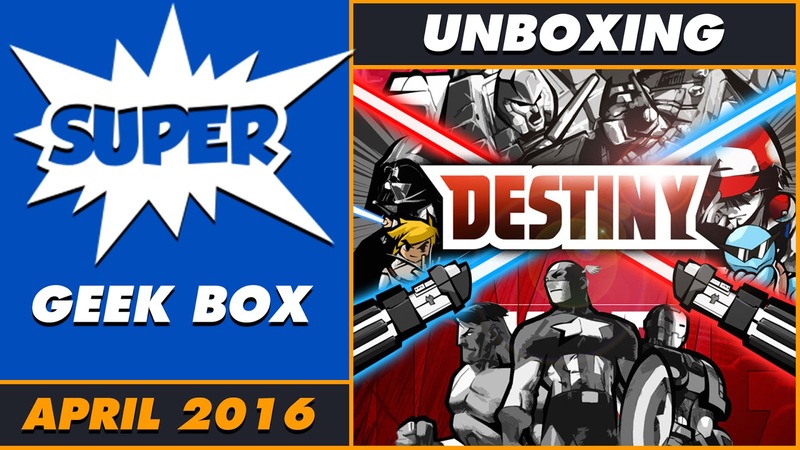 Their theme for April 2016 is Destiny, focusing on characters from Transformers, Star Wars, Pokemon and others..
$40+ Value in each box! 5-8 awesome items every month. If you want to get in on the fun and reserve yourself some cool stuff for next month, place your order at Super Geek Box. Thanks again to Super Geek Box for sending this our way!